And now a Parable about a fig tree. It would seem that this fig tree is being symbolically used by Jesus in a significantly different way from the withered fig tree of Mark 11:12-14 & 20-25. There the fig tree serves as a warning of coming judgment on Israel. Here, during Passover, the tree would have been exactly as described by Jesus (v. 28): it’s spring leaves sprouting. As the fig tree tells us that summer is near, so the appalling sacrilege of v. 14, profaning the Temple, tells us (v. 29) that its time to get out of Jerusalem, because its destruction (the war in Judah) is imminent (Lane, NICNT). Interpreting “these things” in v. 29 as referring to the coming of the Son of Man causes all kinds of problems wherein we must either explain why Jesus is wrong about the timing of His coming, or we must engage hermeneutical gymnastics to redefine the meaning of “this generation,” in v. 30 (David Garland, NIVAC). 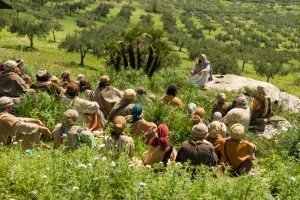 The withered fig tree stands for Israel, specifically the Religious system (administered through the Temple) which is dying as it ceases to bear fruit for God and His mission. 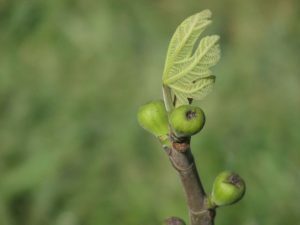 The leaf sprouting fig tree serves as an analogy pointing to the beginning God’s promises fulfilled which assures us that the rest are soon to come. For Geddert, this second tree also symbolizes the new Temple of Jesus and His people which are soon to bear fruit and bring a great harvest! Attempting to set the date of Christ’s return based upon political events in the modern state of Israel is not advised (Cole, TNTC) nor supported by the text! The introductory “Amen” in v. 30 (which we’ve seen Jesus use before repeatedly in Mark) serves as a solemn oath providing His personal guarantee that His prophecy will happen within their generation. It’s more sure than heaven and earth (v. 31)! 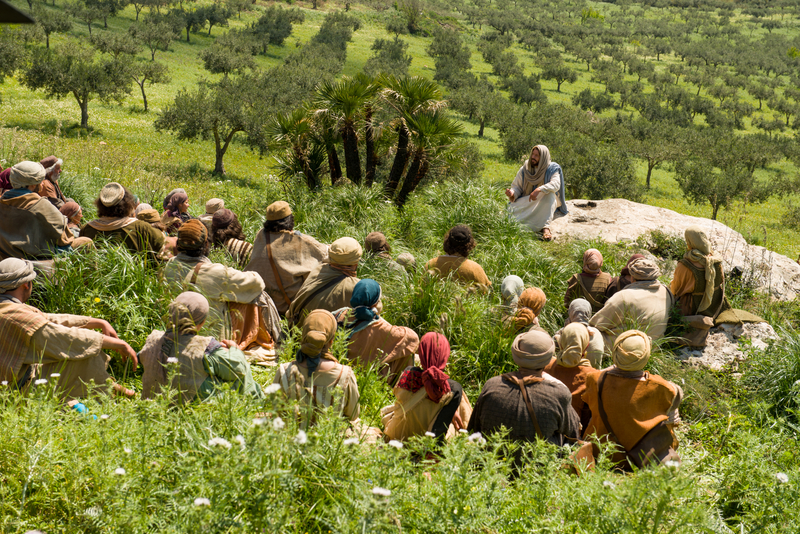 The dismantling of the Temple and the destruction of Jerusalem will happen in the lifetime of those disciples standing there on the Mount of Olives. The words of Christ are exalted here by our narrator John Mark to be on equal footing with the words of God in the Old Testament. In Theology we call that a high Christology! The interpretation outlined here would have been clear to the twelve here (and the original audience of Mark’s Good News account). But is it as clear to us? What’s a 21st century follower of Jesus to do upon hearing this gospel? Jesus’ prophecy has already been fulfilled, so His return is imminent! We may still have a lot of time left, or we may have very little. If we follow Geddert especially, Jesus (and Mark’s text) is deliberately vague on the relative timing of the parousia to His prophecy of the destruction of the Temple spoken here in the Olivet Discourse. We are called to faithfulness, mission. As image bearers of God, and disciples of Jesus we are the new Temple. We are called to bear Kingdom fruit! As a follower of Jesus, go and live like Jesus. Show the world what He is like by your actions. Love someone who is unlovable. Use the kingdom weapons of kindness and compassion to take back territory from the enemy just like Jesus did. Change the world for the better! It’s your calling, your destiny, your heritage as a child of God and a follower of Jesus. You’re welcome!